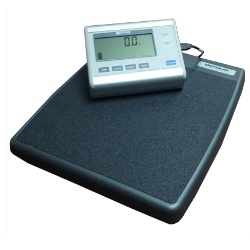 1800scales DVS Veterinary Weighing System ScaleThe DVS Digital Veterinary Scale is a low profile veterinary scale with large platform, 43x20, with a removable heavy-duty mat that helps keep animals from slipping on the weighing platform. The low profile makes it easier to get a patient on the weighing platform with ease (no lifting required). With a Standard capacity of 800 lb x 0.2 lb / 400 kg x .1 kg, the DVS will accommodate most animals. Shipping included for continental US customers. 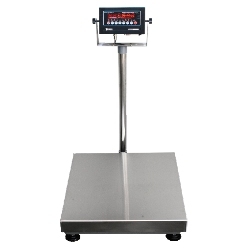 1800scales DVS-HD Heavy Duty Vet Scale 1500 lbsThe DVS-HD Heavy Duty Digital Veterinary Scale is a low profile vet scale with large platform, 50" Wide x 20" Deep x 4.0" High. 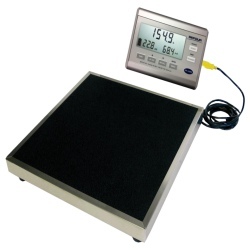 With a standard capacity of 1500 lb x 0.2 lb the DVS-HD scale will accommodate most animals. 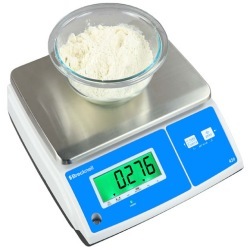 The weighing system features a 1" LED display and operates on Rechargeable battery (aprox. 100 hrs) and 120V AC Adapter/Recharger. Shipping included for continental US customers. 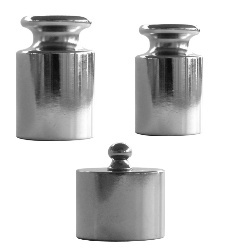 1800scales Hostile Environment Load Cell Cable 6 Wire 100 Ft6-Wire Load Cell Cable 20 Gauge Wire 100 ft roll. Designed to be used in hostile environments. The 6-wire cable is best suited for longer runs where remote sense lines can be used. Comparable to the EL147HE series. 1800scales Hostile Environment Load Cell Cable 6 Wire 25 Ft6-Wire Load Cell Cable 20 Gauge Wire 25 ft roll. Designed to be used in hostile environments. The 6-wire cable is best suited for longer runs where remote sense lines can be used. Comparable to the EL147HE series. 1800scales Hostile Environment Load Cell Cable 6 Wire 50 FT6-Wire Load Cell Cable 20 Gauge Wire 50 ft roll. Designed to be used in hostile environments. 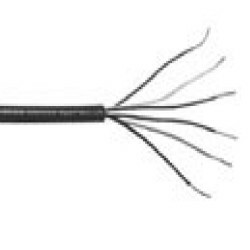 The 6-wire cable is best suited for longer runs where remote sense lines can be used. Comparable to the EL147HE series. 1800scales Hostile Environment Load Cell Cable 6 Wire 500FT6-Wire Load Cell Cable 20 Gauge Wire 500 ft roll. Designed to be used in hostile environments. The 6-wire cable is best suited for longer runs where remote sense lines can be used. Comparable to the EL147HE series. 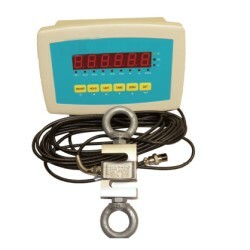 200HS Digital Crane Scale 3000 lb200HS hanging scale is an affordable crane scale calibrated with a highly accurate load cell with 2 eye-bolts. Easy to install and operate, the 200HS crane scales come with about 19 ft of cable between crane scale and the digital weight indicator. 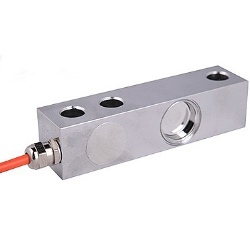 The load cell is Nickel plated tool steel. AC power and rechargeable battery. 3000 x 0.5 lb. Normal lead time 1 to 2 business days. 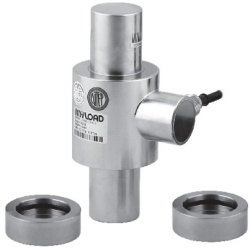 Anyload 106ES Canister Load Cell 50,000 lbThe Anyload 106ES heavy capacity compression stainless steel load cells with caps are ideal for multiple load cell compression applications such as truck scales. Capacity: 50,000 lbs. Atlas Kwik-Weigh Pallet Jack Scale 4500 lb.Unique 2.95 inch lowered height allows easy entry to pallets. Battery powered Scale Truck applications include verify incoming & outgoing freight, truck loading by weight, all purpose mobile scale. 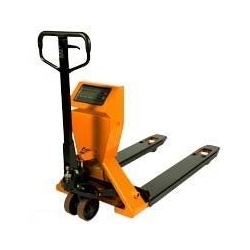 Our scale truck includes all the features of a pallet truck along with a portable scale. In order to make maximum use of rechargeable battery power, the indicator is programmed to turn off if not used in five minutes. Weighs up to 4,500 pounds in one pound increments. Price includes freight for cont'l US. Befour PS-6615 Deluxe Wrestling Scale 500 x .1 lbBefour PS-6615 scale is a clear choice for wrestling teams, athletic trainers and other sports. 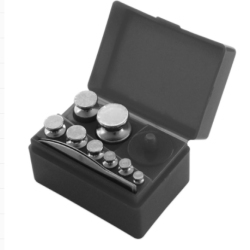 Includes Bluetooth Smart Plug-In Module: designed with the wrestling coach in mind. The plug-in module comes with a downloadable android wrestling app that monitors daily weigh-ins and alerts the coach to any weight issues. Capacity of 500 x 0.1 lbs. 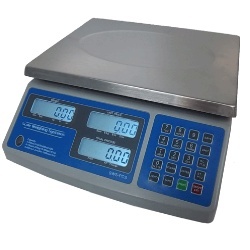 Brecknell 430 General Purpose Bench Scale 15 LBThe Brecknell 430 General Purpose Bench Scale can be used for a wide range of applications from general industrial weighing applications to food prep and portion control applications. 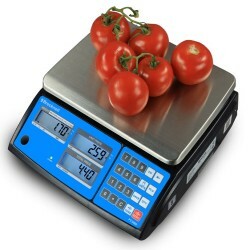 Check Weighing Mode - Ideal for repetitive weighing applications. The operator can easily set the scale to know if the weight is within tolerance with color changing backlight and audio under, accept and over buzzer.